English Premier League side Chelsea Football Club revealed their yellow 2014/15 adidas away kit for their upcoming domestic and UEFA Champions League campaigns earlier today. It will be on sale at the World Soccer Shop, Subside Sports and Kitbag Chelsea FC online shops along with The Blues 14/15 home kit and training range. According to adidas: Following on from the hugely successful Forever Blue campaign which launched the new 2014/15 home shirt in April, adidas and Chelsea Football Club have today revealed the new look away shirt, inspired by famous yellow kits from the club’s past. 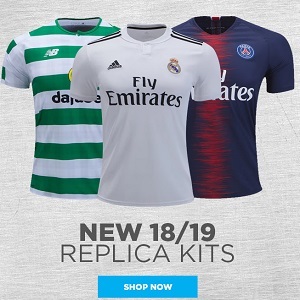 The new kit is also a timely arrival, being available to fans on the eve of the FIFA World Cup in Brazil, with the new yellow shirt bringing a link to the club’s strong Brazilian contingent of players – David Luiz, Oscar, Ramires and Willian, who will be heading to the tournament this summer. See our Kits and Jerseys section for more of the latest football shirt releases. Technical sponsor Joma has unveiled a 100th Anniversary kit for Peruvian Primera División side Foot Ball Club Melgar.